This great Eupen, Belgium hotel is close to the scenic Hautes Fagnes Natural Park; the border of Germany and the Netherlands. 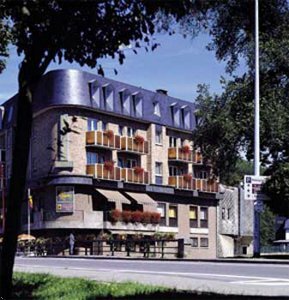 The Best Western Ambassador Hotel Bosten is convenient to access via highway E40 (Aachen/Liege/Maastricht), Exit 38. This beautiful riverside hotel is also close to the historic city of Monschau and 40 kilometers from Liege, Belgium. Recreational activities including tennis and swimming are within walking distance of the hotel. A golf course is only a 15-minute drive away. This Eupen hotel offers a daily complimentary continental breakfast and courtesy newspaper. The hotel features first class accommodations, a cocktail lounge, meeting and banquet facilities as well as a French cuisine restaurant, Le Gourmet. Guests will receive careful attention and service from the hotel's multilingual staff (German, English, French, Dutch). Make an online reservation today at the Best Western Ambassador Hotel Bosten!